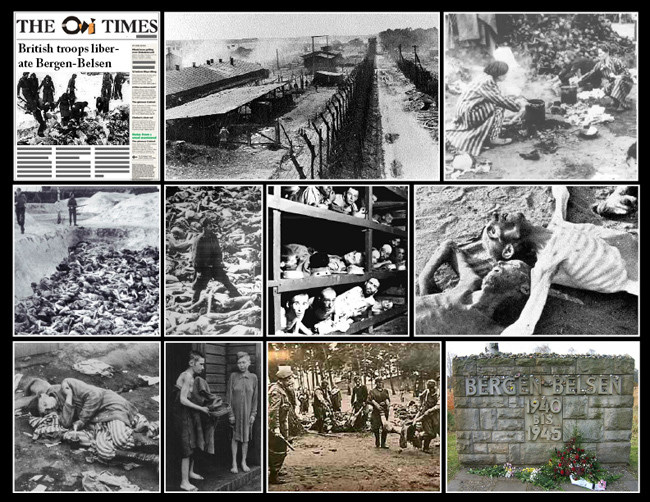 April 15th 1945 British troops have entered the German concentration camp of Bergen-Belsen. Inside the camp the horrified soldiers found piles of dead and rotting corpses and thousands of sick and starving prisoners kept in severely overcrowded and dirty compounds. The first British soldiers who entered Bergen-Belsen have described seeing a huge pile of dead, naked women's bodies within full view of several hundred children held at the camp. The terrible things humans do to each other in the name of? I feel so privileged to have a happy and safe life with plenty of food, clothing and warmth and people who love me.